If you are someone who wants to make money from trading in the financial markets, you need to start by choosing the right broker. Being able to execute all sorts of trade from home is definitely a luxury for the modern people. However, the experience is only as good as the broker you choose for trading. This is a CMC Markets review that will go deep into all the factors and reasons that make CMC Markets one of the best brokers in the market today. After reading the complete review, you should be in a position to decide why CMC Markets should be your next broker. CMC Markets is currently one of the most popular online brokers that serve many countries and hundreds of thousands of traders from around the world. One of the reasons why the broker has become so famous is because of how it has developed trust with its traders. The first thing traders want to confirm before they fund an account with a broker is how authentic the broker is. It is a matter of a lot of money so no one wants to work with a broker that’s not regulated and authorized by authorities to conduct trading activities. CMC Markets offers you the peace of mind because it is an FCA regulated company. Proper regulation ensures that a company strictly follows the safety and security guidelines of the industry. Not only does this help the company develop trust but also helps traders conduct their trades with the peace of mind. The company has been around for nearly 30 years now. 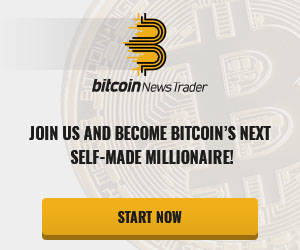 During all this time, the broker has created a huge following of traders. 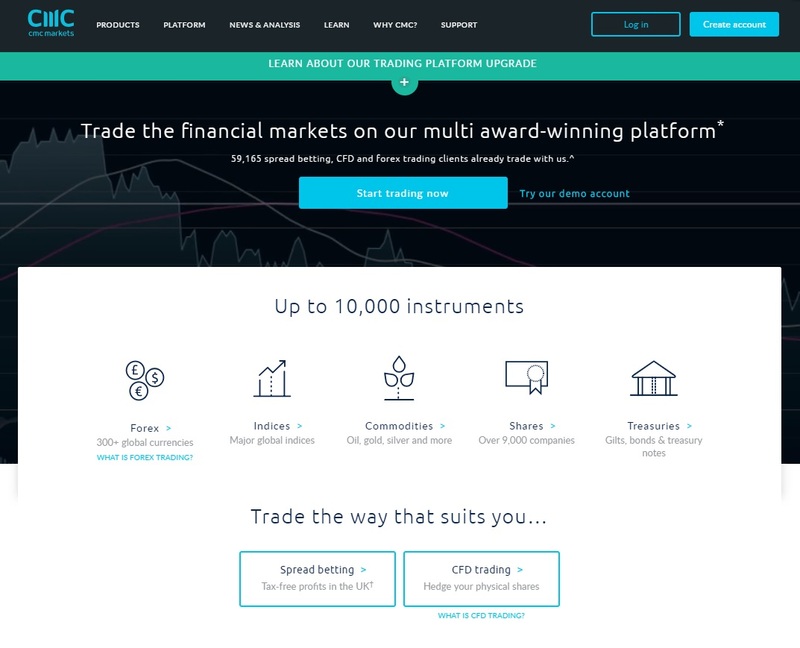 Thousands of traders are online every day to complete their trades using a variety of financial instruments. CMC Markets takes pride in offering the most competitive spreads and commissions. Some of the most popular currency pairs can be traded with CMC Markets with spreads that are as small as 0.7 points. Such competitive spreads are available with other financial instruments as well. In fact, some indices can have spreads as small as 0.3 points. When signing up with this particular broker, spreads should be one of the reasons for picking it. The next most important factor to consider to pick the best broker online is the number of assets available. Like other major brokers in the market, CMC Markets offers you all the major indices, forex currency pairs, commodities, and treasuries. You have enough options to pick the asset that you think will be easiest for you to trade. If you like forex trading, you can pick your pairs from more than 330 available on the platform. As for shares, you can pick yours from more than 9,000 shares. Even the indices number count is more than 90, which means the list includes all the major and minor indices from around the world. Treasuries are not that famous with traders but CMC Markets still have over 50 of them for the traders to pick their favorites from. You can easily find information about any tradable asset on the website. 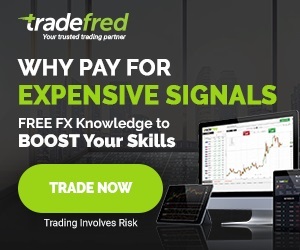 You are going to love the fact that the margin requirements are very reasonable when you trade the forex currency pairs. Even with the major currency pairs, you can go with a small 3.3% margin requirement. With most of the forex currency pairs, the margin requirements are 5%. In a similar way, you will see that 5% is the most common margin rate when you trade indices. One thing you will notice when looking at the indices table on the website is that the spreads can change from time to time. How much the minimum spread will be when you trade a particular index depends on the time of the day you are trading. Spreads are most affordable during the day time. As you move closer to the night time, the spreads start to become big. It is amazing that CMC Markets has provided all of this information very clearly on the website. Margin rates for commodities are relatively higher so you have to look at the table. In most cases, you should be prepared for a margin rate of 10% with most of the commodities. There are many disparities in the minimum spreads so it is best that you look at the table given on the website. Furthermore, you have to pay a commission when it comes to the shares. The detailed table of commissions is also on the website that you can use before trading any shares. In short, whether you are a new or an older trader, you have several options from hundreds of markets available for you to trade. This is the strong area of CMC markets. They have the web-based platform as well as the application for portable devices. The first thing you notice about the platform is that it has been designed to “help” the traders with their trading decisions. The company has invested a lot in trading tools and indicators. Of course, their efforts have resulted in some awards as well. While other brokers are happy to offer you around six to ten indicators, CMC Markets has gone many steps ahead. It offers a package in which you find more than 115 indicators. All of these indicators are there to help traders with profitable trades. In addition to the indicators, there are many patterns that traders can choose from to look at the market the way that makes the most sense to them. They can arrange the charts in 70 different ways and choose from a variety of charts. It is a complete platform where you receive all the information about the market as well. The insights are coming to you every day from the experts working for the broker. In addition to that, you can use the platform to watch live TV that gives you access to useful information from the experts. Most importantly, CMC Markets has worked on the platforms with mobile users in mind. Whether you use Android phones or iPhones, you can download the application that gives you access to all the options that are available on the platform. You also have an application that is specifically designed for iPad. If you are an iPad who trades actively, you will love how the broker has designed its application for this particular device. The application has the option of one-click trading. You can also automate your trades so you don’t ever miss a chance of executing a profitable trade on time. Almost all the brokers pay attention to the customer. However, there are not many who give attention to customer within the platform. CMC Markets goes the extra step here and offers you customer support right within the trading platform. You can access the live chat feature to talk to a live agent to discuss whatever issues you have with your platform or the account. All the safe and quick ways are available for you to fund your account. First, you can use the debit and credit cards to fund your account. Diners cards are not accepted by the broker. If there are any fees associated with the funds transfer, the broker will take that from the amount you have transferred, and deposit the remaining amount. You do not have the option to fund your account with a cash deposit. Cheque option is not available either. You have to make sure that the card you are using to fund your account in your name. To meet the security standards, the company will not accept cards that have a third party’s name on them. When it comes to withdrawing funds from your account, be prepared to answer some additional security questions. These questions might be a bit frustrating in the beginning but they are there for your safety. Once again, you will have to make sure that the account you want to withdraw the funds to is in your name. You cannot use someone else’s account to withdraw funds. You will have to call the customer support to get any additional information about this particular issue. There is a detailed banking page on the website that you can read to know about how to fund your account and withdraw funds from it. When it comes to customer support, you will first have to consider a very detailed FAQs page on the website. The broker has compiled all the questions that are often asked by its traders in one place. If you have any issues, it is best that you check this section first. In most cases, you will find the answer to your question in the FAQs section on the website. You should not have any hesitation in looking for the answers in this section because CMC Markets has compiled these questions and answers in an easy to find way. You will notice that even the best brokers that offer lots of assets for trading and many other features are not so great at offering customer support. In most cases, they are only available to listen to your inquiries during the business hours on weekdays. On the other hand, CMC Markets has given a phone number on the website that you can call to get answers to your queries. The representatives are available to answer your questions 24/7. As for the website, it is also available in many languages so traders from around the world can understand it. This personalized customer support makes CMC Markets one of the best in the industry. The first thing you will love about CMC Markets is that it offers you security and the peace of mind. You have to know that the company has been in business for 30 years. That’s a big sign that a broker has been doing what it is supposed to do and delivering what it needs to deliver to the traders. Moreover, the broker is fully regulated for all the financial activities it conducts. These reasons are great for any trader to pick CMC Markets over any other broker. The trading platform you are going to use matters a lot in how professional your experience of trading will be. Some platforms have the issues of being very slow. Some do not have enough indicators on them to help you with your trades. Most importantly, some platforms are only suitable for desktop devices and require you to download them. While the web-based software is there, what makes CMC Markets special is the portable applications for its traders. It offers its complete applications for iOS and Android users. Whether you are an experienced trader or a newcomer to the financial markets, you want lots of options. Experienced traders want lots of trading instruments because they have to diversify their investment portfolio. By investing their money in various assets, they are also aiming to offset any losses that they might incur if they put all their money on one asset. For newcomers, they want to have a lot of options so they can pick an asset that provides them reasonable margin requirements, spreads, and minimum losses. With CMC Markets, every type of player has access to thousands of different tradable assets. You can see from the information above that CMC Markets is a broker that suits the needs of new and experienced brokers both. The broker is serious with customer service and offering its traders with something that meets their exact needs. The competitive spreads, small commissions, huge list of financial assets and markets, etc. are all areas where CMC Markets does a great job. Not to mention, it is a safe platform that gets regulated properly and has the highest security protocols in place for its traders. CMC Markets is definitely a recommendable broker for traders from around the world.